I have a major addiction to sugar, specifically sugar contained in chocolate. This is obviously not so good for my figure. 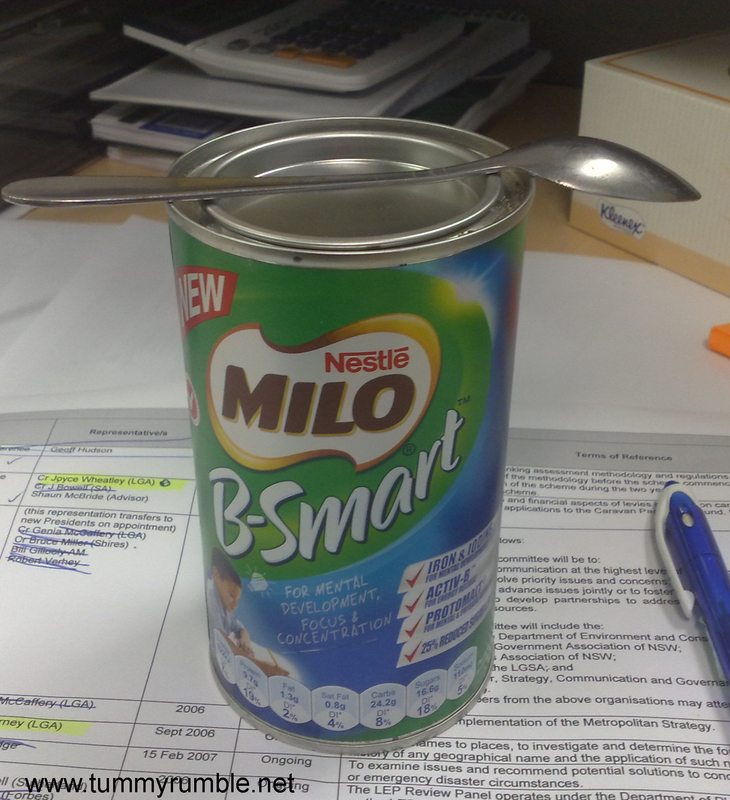 So to deal with some of my cravings I’ve been trialling Milo B-Smart. 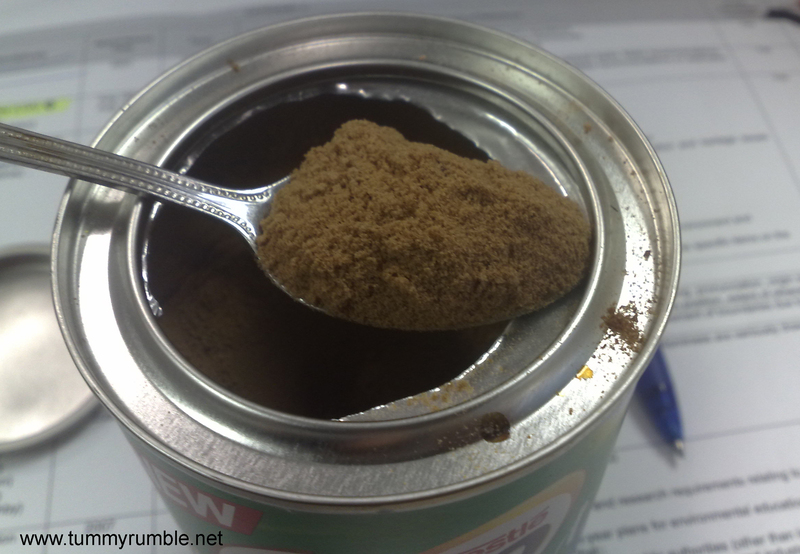 Apparently this has 25% less sugar and fat than regular Milo, and is fortified with extra iodine and iron. I don’t always eat it with milk, and have found sprinkling over banana is also very good. Adding it to milk seems to dilute the chocolatey malty goodness a little too much for me! What do you reach for when you’re trying to be good? I always keep some brazil nuts and dried fruit like apple or apricots handy. I also love mizing fresh passionfruit into a few tablespoons of greek style yoghurt when they’re in season (like now!). Working in an office all day and a walk around from alot of cafe’s (and Macca’s) , it’s hard to be good! I go for almonds or cashews. haha Chopper just told me you had twittered this and he had said it deserved a review-and you did! My snacks of choice keep changing. I like Sultana Bran of an afternoon. With really really cold milk.